Moving of any size or type can be tough. When you add long distances between your new location and old, it often adds another layer of complexity. 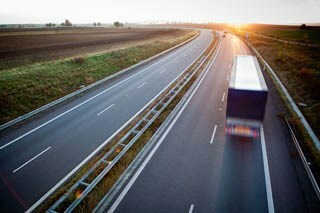 So if you’re planning a long-distance residential move in the Bay Area, why not trust the professionals? When you work with Metropolitan Van & Storage, you can rest assured that you’re dealing with some of the best and most qualified moving and storage professionals in the business. In addition to our qualifications as a Diamond Certified, BBB-Accredited business, our dedication to consistently providing great service has also earned us ProMover status within the American Moving & Storage Association—a tremendous achievement. Since the 1940s, we have helped thousands of happy customers to move long distance all over the United States – and the world. Our professional moving team offers expertise with moving specialty household items, appliances and furniture, fine arts and antiques, vehicle shipping and so much more! In addition, you can also enjoy the following benefits and amenities we offer: free, in-home estimates, free stretch-wrapping of furniture plus doorway and floor protection. Our professional moving team offers expertise with moving specialty household items, appliances and furniture, fine arts and antiques, vehicle shipping and so much more! In addition, you can also enjoy the following benefits and amenities we offer: free, in-home estimates, free stretch-wrapping of furniture plus doorway and floor protection. So whether you need full-service packing and unpacking, custom crating and specialized moving, storage solutions, or anything in between, Metropolitan Van & Storage has you covered. We help take the complexity out of any long distance move! Call us today to learn more about your own move in the Bay Area, or fill out our quick online form to receive your FREE, no-obligation estimate!